But to value a site like that, you are ignoring a major intangible of the site. Depending on how old the domain name is and how much Page Rank that you have, acquiring a site can add tremendous strength to your network of sites should you choose to point some links at the rest of your network. For instance, Lenzine.com currently has a page rank of 4, and is an extremely aged domain name, having been around for upwards of six years. This is a site that probably has the respect of some major search engines, and this is a site that can be used to increase the strength of our overall network. Not only can we directly monetize this site, but we can also indirectly monetize it by pointing the site at a couple of our fledgling network sites. For Lenzine, we are going to keep it under control. You don't want to include a link to every site in your network, or else you bleed Page Rank and the site will be much less powerful. Instead, we are going to focus on boosting a couple of our sites: Lending Place and this site, Davemanuel.com. So Lenzine.com will potentially be making money from the sale of Text Link Ads, the usage of Adsense on the site, the usage of Chitika ads on the site, plus the sale of a Clickbank book on the site. 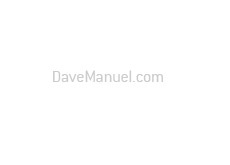 In addition, we will be using the strength of the site to bolster our entire network, and hopefully provide a boost to both Lending Place and this site, Davemanuel.com.